Recommended for those need for ultimate power. Weighing merely 3.5 ounces, 6.0x provides most power and is still easy to adjust and use. This model is very popular among experienced dentists and perfect for procedures that require more precision, such as root canals. Bare in mind that, the more power you have, the narrower field of view you will have. 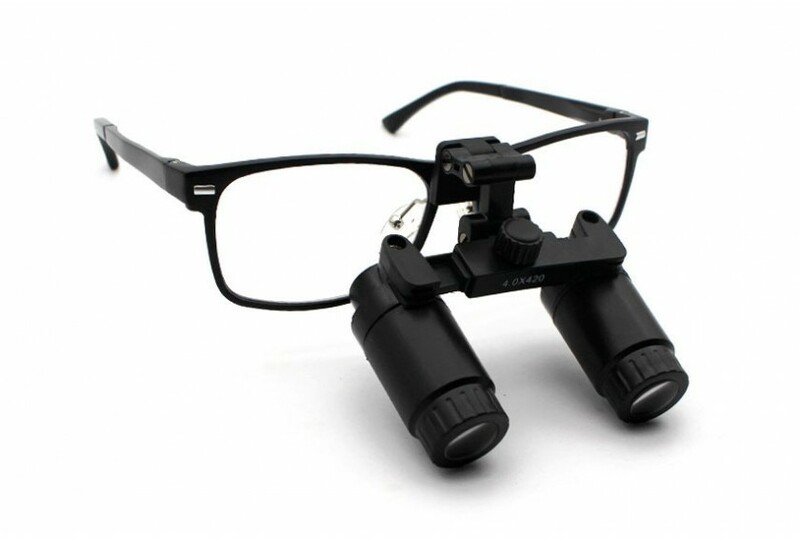 At Schultz Loupes, we guarantee the quality of our loupes and headlights. If you are not happy with your product, simply contact us for a refund or an exchange. We offer a 30-Day Money Back Guarantee which allows customers to make an equal exchange or return with no questions asked. At Schultz Loupes, We are so confident with our product that we are willing to offer a Limited Lifetime Warranty on all of our products so you will have peace of mind when you make your purchase decision. Selecting the optimum working distance will ensure that you maintain the correct ergonomic posture and focal distance. We offer a choice of four working distances. To calculate your specific working distance, measure the distance between your eyes and the patients teeth while maintaining an ergonomic position. 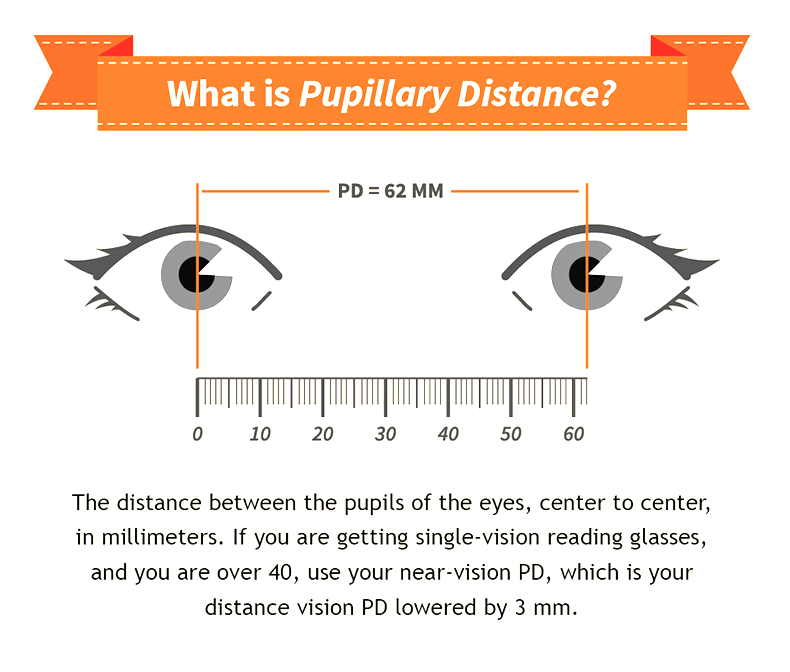 Your pupillary distance, or PD, is the distance between the centers of your pupils in millimeters (mm). 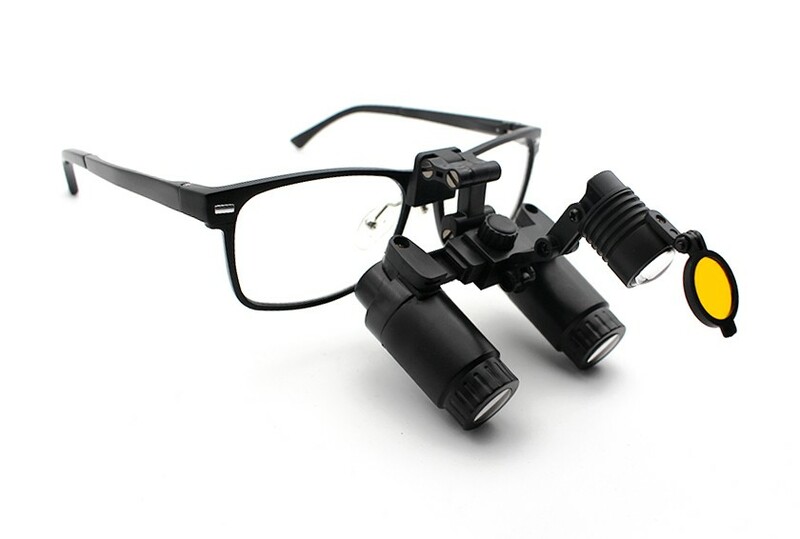 This measurement is necessary to ensure the correct positioning of the TTL loupes. Because loupes are only used to view close objects, the PD you need for Loupes is called Near PD. Near PD is normally 2-3mm smaller than your regular PD. Make sure your optician is aware of this when you request your PD. ● Go to a local eyewear store or optometrist office and get your NEAR PD measured. Most will only charge approximately $5 for measuringyour NEAR PD. We provide high quality products.With Money Back Guarantee and Lifetime Warranty. Read our return and warranty policy. Credit card payments are processed by Paypal Pro.The safest payment gateway online. Shopping with us is safe and secured, Guaranteed !